Having grown up in Chicago, Mitzi Meyerson founded the Trio Sonnerie (harpsichord, violin, viola da gamba) in London and toured with it internationally. The harpsichordist enjoys discovering forgotten composers and also works as a professor in Berlin. Here she presents her favorite pieces of music. 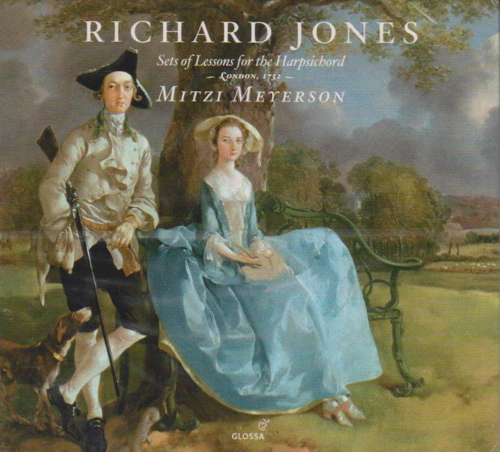 Mitzi Meyerson's ground-breaking double CD recording of Richard Jones (1732) has just been released in Germany by Glossa. The release in the UK is planned for the end of August 2010, and later in Holland and elsewhere. 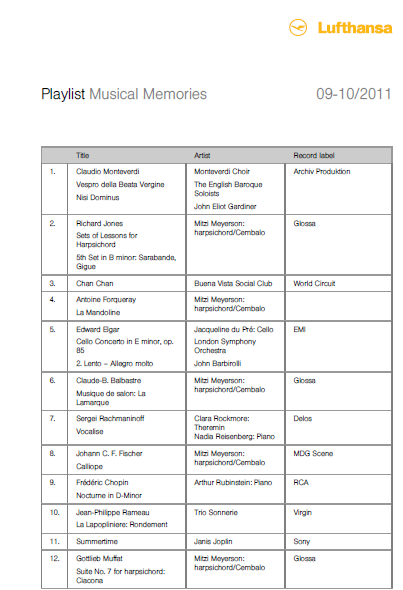 This is the first complete Richard Jones harpsichord works recording ever made. It will be a special discovery for all lovers of the unjustifiably obscure. Available from Amazon.com now! A resolution was passed in Chicago City Hall, to declare April 2, 2009 as "Mitzi Meyerson Day" throughout Chicago and environs, and to dedicate a portion of downtown Wabash Avenue as "Honorary Mitzi Meyerson Way". This street sign is placed directly in front of the main entrance to Roosevelt University, where Mitzi was the first person in the school's history to graduate with a degree in harpsichord.